Many times when I’ve been exploring Italy, I’ve come across a sign proudly declaring that the village I happen to be in was ‘I Borghi piu belli d’Italia’, one of Italy’s most beautiful villages. I soon learned that seeing this sign meant I was in for a real treat – charming cobbled alleyways, historic architecture, beautiful views and a certain something that sets a place apart from the norm. Character. Charm. A sense of being somewhere very special, almost trapped in time. Launched by the National Association of Italian Tourism in 2001 ‘I Borghi piu belli d’Italia’ was created to promote the great heritage of history, art, culture and traditions present in small Italian towns which are under the radar of many visitors and tourists. The aim was to help reverse the trend of depopulation that many of these villages were seeing and to protect and enhance them, for the benefit of both locals and visitors alike. 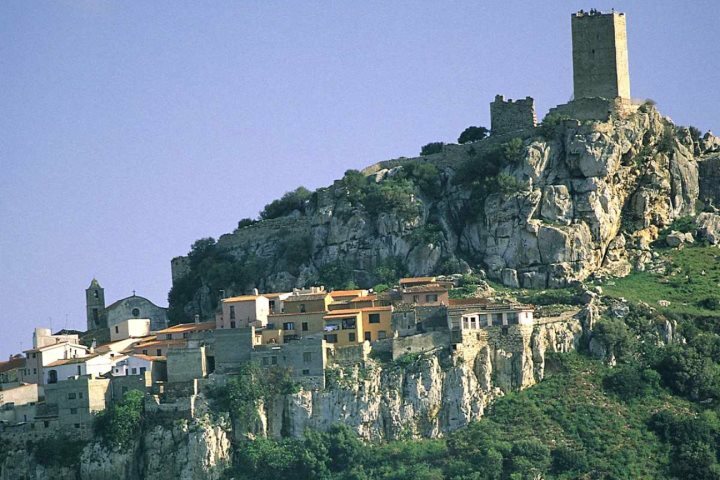 In Sardinia, you can visit five villages that have been awarded this honour, each one meeting a strict set of rules, as is required to be a member of this exclusive club. The village of Atzara, on the west coast of the island in Barbagia, is in an area that has been inhabited since the Neolithic period. The village itself dates back to medieval times. Amongst forests of oak and cork just outside the village, the first vines of Is Camminos de Is Bingias (The Way of the Vineyards) can be seen. Wine is the most important part of the economy in Atzara, but unlike other areas of Barbagia, not only Cannonau grapes are grown here, but also Monica and Bovale vines, producing the DOC red and rosé wines of Mandrolisai. At the village’s Wine Museum on Via R. Margherita you can learn about the techniques used in wine production. Atzara is also famous for its woven rugs and carpets and its pastries. 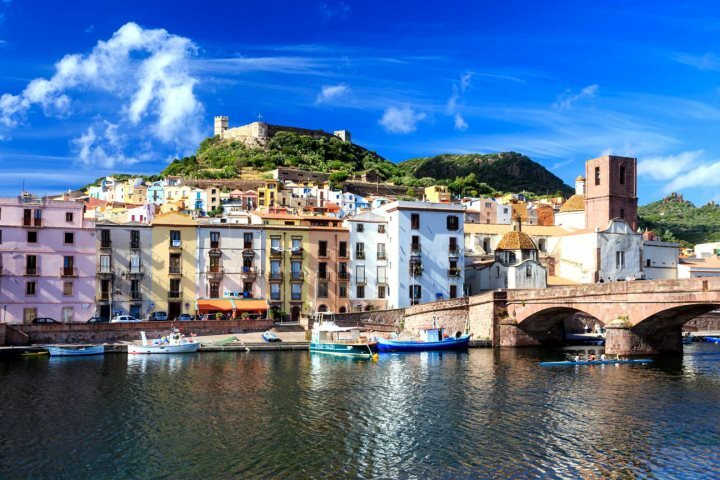 Founded by the Phoencians in the north-west of Sardinia, the fishing village of Bosa is one of the most colourful towns in Italy. Its houses are painted in pretty shades as well as vibrant blues, greens oranges, and reds to form a tapestry of colour tumbling down the hillside to the water’s edge. 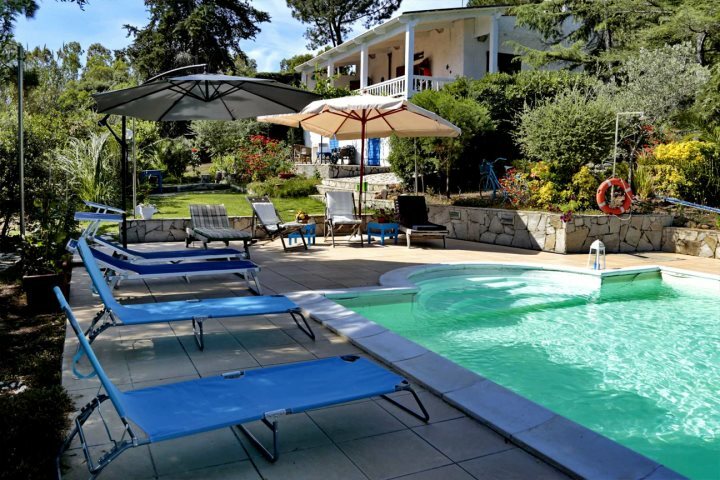 Diving, sailing, hiking, birdwatching and boat trips up the river are popular pastimes here and it’s within easy reach of some stunning beaches. 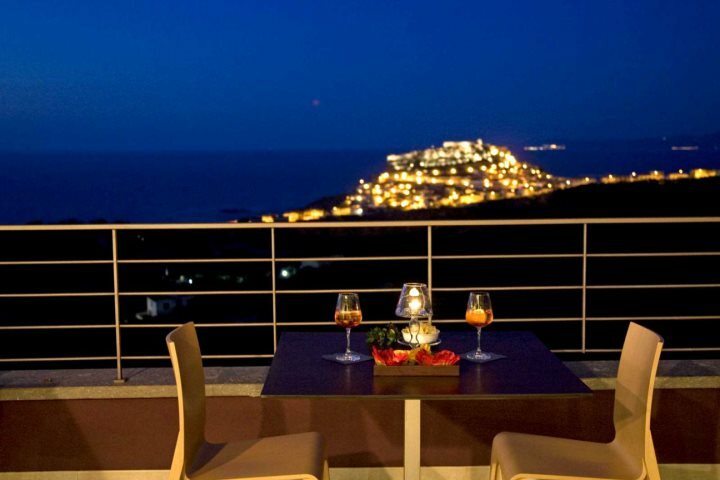 Bosa is also famous for its lobster bisque, Malvasia wines, gold filigree and its Easter celebrations. 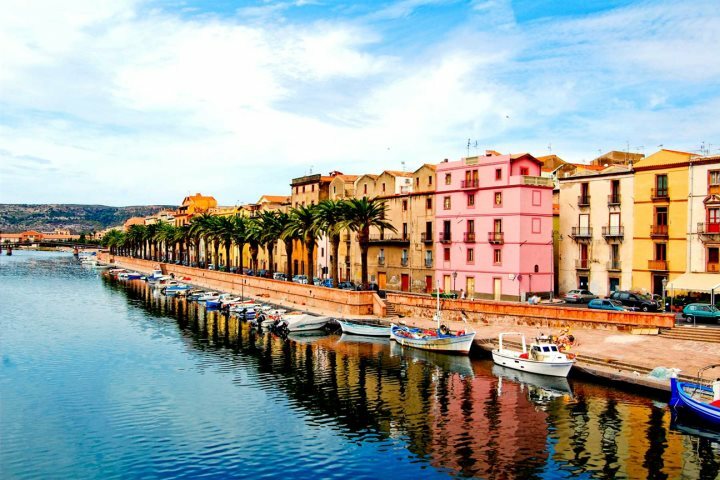 In the far west of Sardinia on the island of San Pietro, Carloforte was founded by Ligurian fishermen in 1738. Whitewashed and pastel houses with terracotta roofs line the narrow winding alleyways of the old town, where countless stairs lead you to the maze of streets of the Castle district. Fishing, boating, hiking, birdwatching and water sports are popular on this picturesque island, which boosts a beautiful marine landscape of cliffs, coves and sea caves. 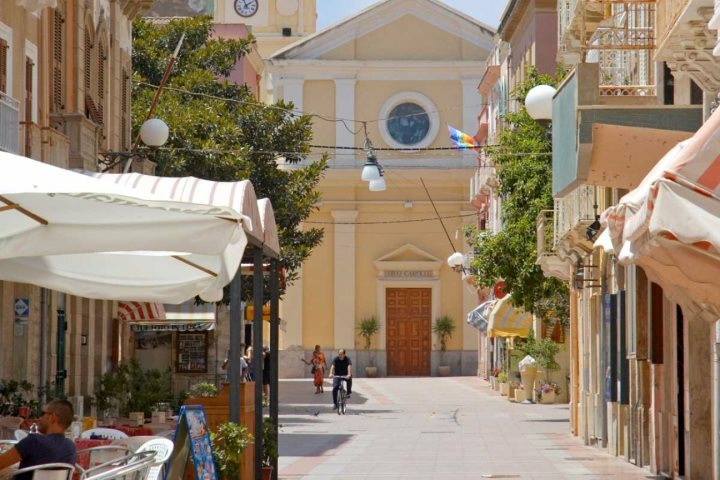 Carloforte is also known for its Bluefin tuna, with traditional dishes having strong Ligurian and Arab influences, and also its summer-long festival, Carlofortina Summer. 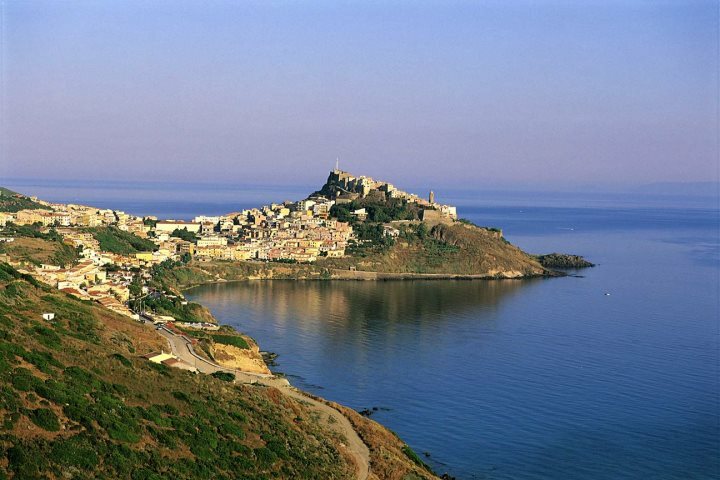 The medieval town of Castelsardo is an impressive sight whichever direction you approach it from, be that by land or by sea. 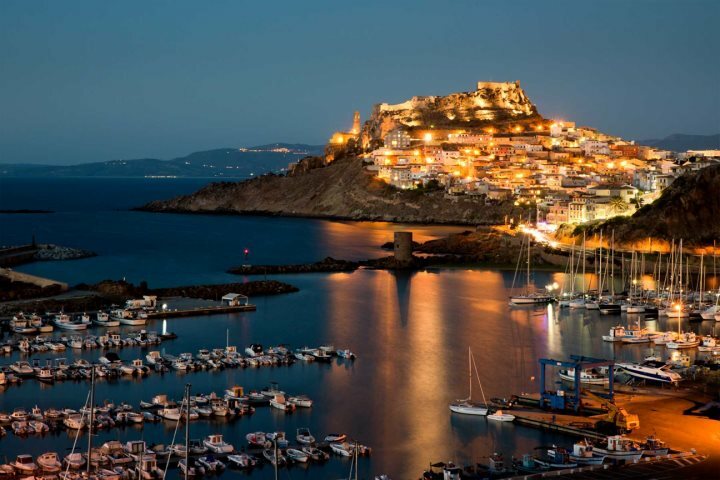 The hilltop castle, dating back to 1102, sits perched on a promontory surrounded by the pastel coloured town leading down to the sea. The views from the castle overlooking the town, along the coast and out to sea are impressive. On a clear day, it is possible to see Corsica across the Straits of Bonifacio. Don’t miss the handicraft museum inside the castle. Once you have had your fill of the castle, explore the surrounding medieval lanes and alleyways which are dotted with pavement cafes and handicraft shops, leading you down the hillside. The town also boasts a marina and some beautiful nearby beaches. The most popular dish associated with Castelsardo is spaghetti with sea urchin (in the winter) or with lobster (in the summer). Posada is an ancient hilltop town on the Tyrrhenian coast of Sardinia. At the centre of its historic district, a 13th century tower surrounded by castle ruins presides over the town. 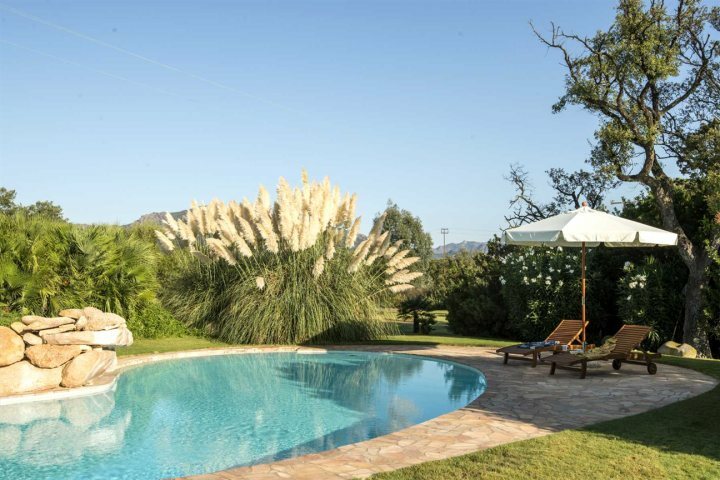 Here you’ll find stunning views out to sea as well as inland across the lush countryside, and the delta of the Rio Posada whose network of canals support many different bird species. Scattered around the village lie many Nuraghi and ‘Tombs of Giants’ from the Nuragic civilisation that inhabited Sardinia from the 18th century BC to the 2nd century AD. 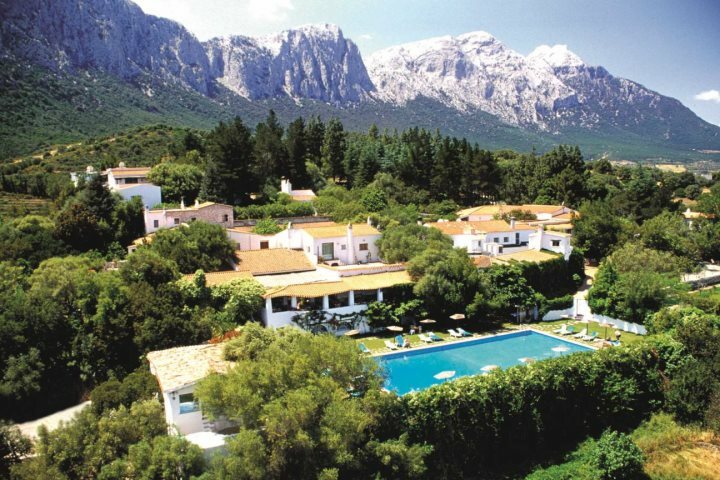 The area is a fabulous place to enjoy many sports such as hiking, kayaking and boating, all while surrounded by nature. Be sure to try the local ‘S’Aranzada’, a traditional sweet treat made with oranges, almonds and honey, the recipe for which dates back many centuries.